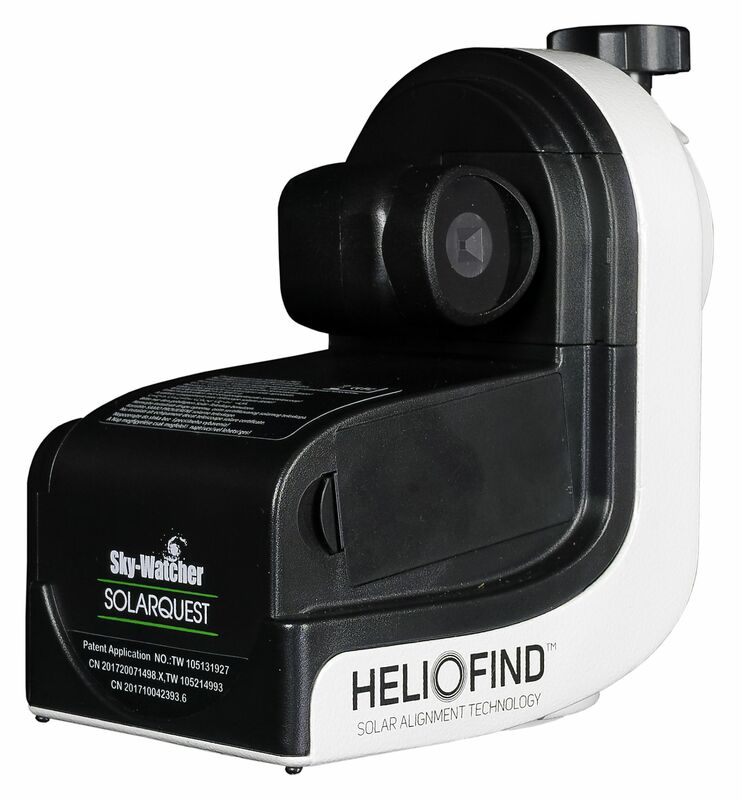 Sky-Watcher's clever and technologically innovative SolarQuest™ mount is extremely user-friendly and provides a safe experience for automatically locating and observing the sun with your solar telescope. Just roughly level the tripod and point your solar telescope anywhere to the left of the sun and let Sky-Watcher's revolutionary HelioFind™ Solar Alignment Technology automatically do the rest!! At the single push of a button, the telescope will be auto-levelled and the mount via GPS data fixing will calculate the altitude and azimuth of the sun based on the time and location. The telescope will then be pointed to the correct altitude and the mount will slew clockwise hunting for the sun. The Solar Sensor will detect the sun and lock onto it, and will silently track and keep it within the eyepiece's field of view indefinitely. The SolarQuest™ mount can be used by educational establishments, beginners and experienced observers alike. When mated with your solar telescope it is a great companion when observing sunspots, solar eclipses, solar surface details & the transit of inner planets across the sun. The SolarQuest™ mount is lightweight and portable, quiet in operation, has a payload capacity of up to 4kg and accepts telescopes with standard 45mm Dovetail Bars. IMPORTANT NOTICE: The SolarQuest™ mount is designed to be used with solar telescopes only. Do not point any other type of optical device at the Sun. Looking directly at the Sun without verified-safe, professionally made solar filtering will cause immediate and irreversible damage to your eye (blindness), damage to the telescope, and will be a fire risk.